A Whirling Twirling Thrill Ride! 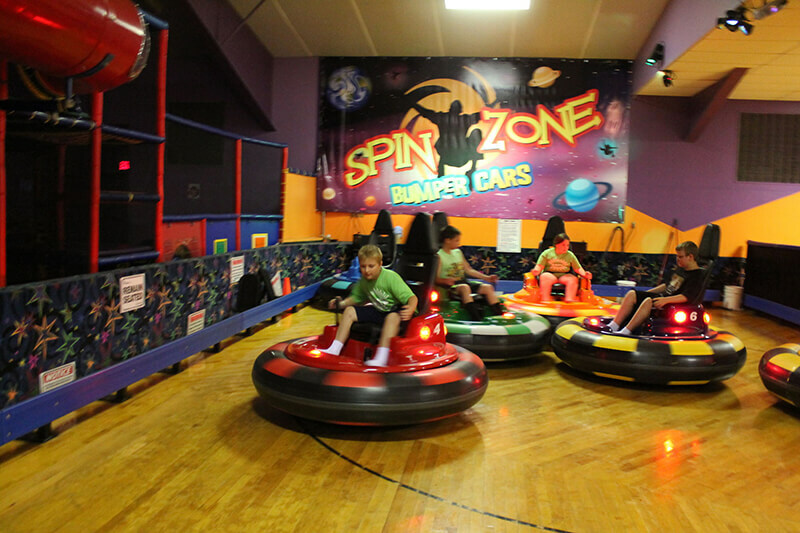 The Spinzone Bumper Cars are not your typical bumper car ride. They move forward, backward, and – you guessed it, they spin! The object is to hit the targets on the other riders bumper car to send their car into an uncontrollable 3 second spin. Beware! Your fellow riders are trying to bump you into a tailspin, too! Must be 5 years old, and 36″ tall to ride independently. Riders younger than 5 or smaller than 36″ must ride with a responsible person.